Most of the wood rings shown here are made in Titanium. Unlike other wood product on the market we use a custom seal and protectant to ensure you ring lasts and looks good for years to come. 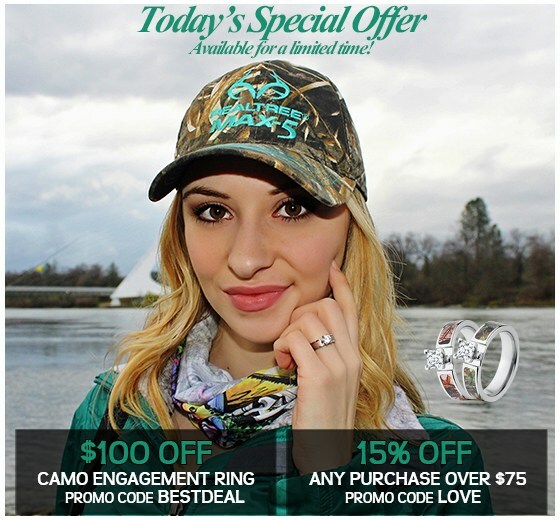 All of the woods we offer on The Jewelry Source are responsibly sourced. The current offering of our Exotic Wood Ring Selection consists of, Marble Wood, Leopard Wood, Blood Wood, Bocote, Olive Wood, Honduras Rosewood, Tamboti Wood, Cocobolo Wood, Tulip Wood and African Blackwood. Each of our exotic wood rings are made to order for you by one of our skilled jewelers. Care and perfection goes into each and every ring ensuring that you will be ecstatic with your choice. 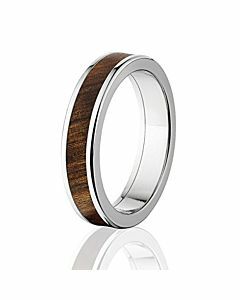 All of our exotic wood ring collection have a comfort fit design making them incredibly comfortable to wear. We have a very wide selection of shapes and widths ranging from 5mm wide all the way up to 12mm wide. 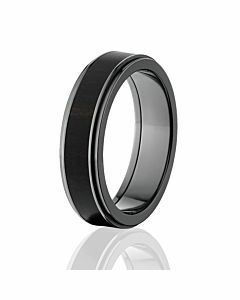 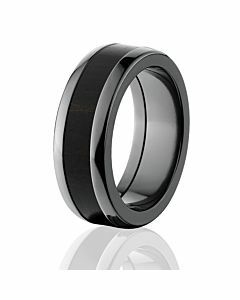 The most popular ring width for us to date has been our 8mm bands. Our most popular top ring profiles are beveled edges with a flat top, straight flat top and a rounded top. 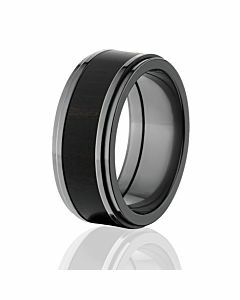 All are comfortable to wear and look great with the exotic wood ring center. The Jewelry Source is happy to design a wood ring for you. If you would like this done, please email us and a one of our design jewelers will give you a call to design your own work of art. 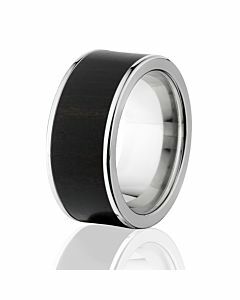 Follow our social media “The Jewelry Source” for promotions, information and exciting new products relating to Exotic Wood Rings.